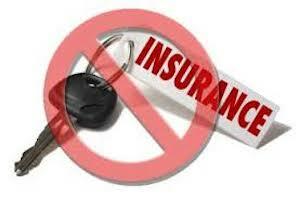 Auto insurance is mandatory for everyone who drives a car, the requirements vary from state to state. Florida law requires that motor vehicles with four or more wheels must carry $10,000 personal injury protection (PIP) insurance and a minimum of $10,000 property damage liability (PDL) insurance. Optional insurance coverage options include, but are not limited to, bodily injury (BIL), collision, comprehensive, and uninsured motorist. According to Consumer Reports, nationwide, about one in seven motorists is uninsured, but in some states (Oklahoma, Florida, and Mississippi) it's more than one in four. TCPalm.com reports that only 76.2 percent of us in the Sunshine State have automobile insurance. The Insurance Research Council states that in 2014, Florida had an estimated 3.2 million uninsured drivers on the roadways. There are a lot of drivers ignoring the law and driving without insurance or are carrying only the minimum required, which often is not enough to pay for damages to vehicles, or to cover the cost of injuries to you and your passengers. Also, injured parties who reject UM coverage under their own insurance policies, are often left with little to no compensations for their severe injuries and damages as a result of the negligence of an uninsured driver. UM coverage provides protection to you, resident relatives, and passengers in your vehicle-if involved in a crash with someone who has no liability coverage or not enough insurance to cover your damages. UM coverage is also important when one is involved in a hit-and-run accident. Without UM or Collision coverage you will be responsible for your vehicle damage and any potential injuries you sustained, without the option of receiving payment from the other driver’s insurance company. According to the National Highway Traffic Safety Administration, one out of five automobile accidents is a hit-and-run accident. Under Florida law, if you have Bodily Injury coverage you must be offered Uninsured Motorist (UM) coverage by your auto insurance provider and either accept the coverage or specifically reject it in writing. Unfortunately, most people do not know what Uninsured UM or Underinsured Motorist (UIM) coverage is and reject the coverage. Some think it is an un-needed option and others don’t know if they even have UM coverage in their current policy. According to a recent AAA Consumer Pulse survey, nearly one-third (31 percent) of Floridians have not reviewed their auto insurance policy with an agent in the past year. It’s important to note that uninsured (UM) or underinsured coverage (UIM) does not replace collision or personal injury coverage, but can be an important supplement to protect you if you sustain an injury as a result of a negligent driver. You should never reject UM/UIM coverage. You should also buy as much coverage as you can afford. Read our blog to learn about stacking your UM coverage. Read your policy and make sure you understand your policy. You should review your policy annually. If you have any questions, you should call your agent or the Department of Financial Services at (800) 342-2762 or visit http://www.myfloridacfo.com/. You can also contact the Department of Highway Safety and Motor Vehicles Customer Service Center at (850) 617-2000, if you would like more information on automobile insurance requirements in the state of Florida.